DTD’s 7th & 8th graders spent a few hours at Lynchburg General Hospital in the Microbiology & Hematology departments of the Laboratory. 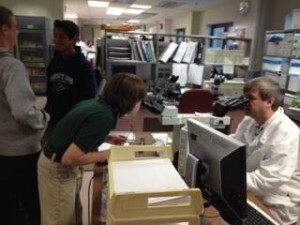 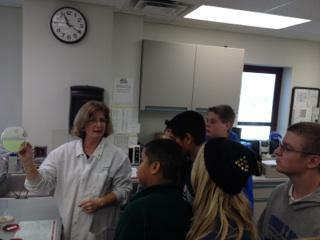 Students were shown red blood cells by a Hematologist who pointed out all the different aspects of the cell. 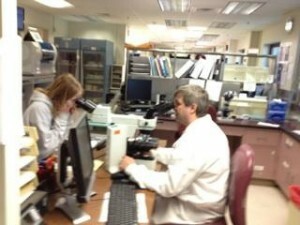 In the Micro Department students were shown the various bacteria’s that were being “grown” to determine which antibiotic would be of benefit to the patient. 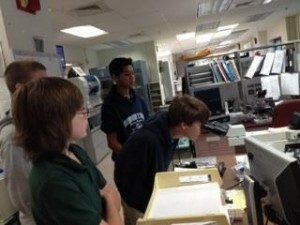 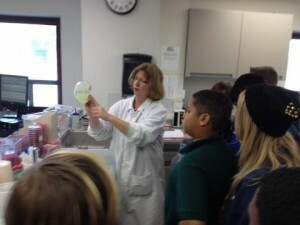 The Microbiologist showed the students various specimens of how antibiotics reacted to the different bacteria. 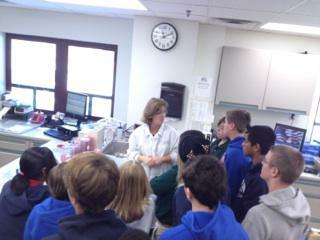 Thanks so much to the Hospital personal who helped make this a great learning experience for our students!